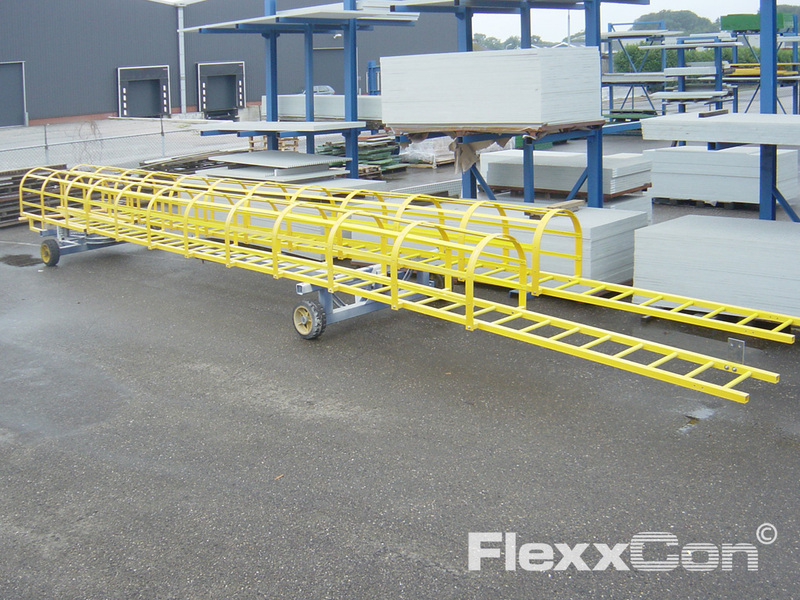 FlexxCon supplies – customised – Fibreglass Reinforced Plastic ladders and cage ladders. 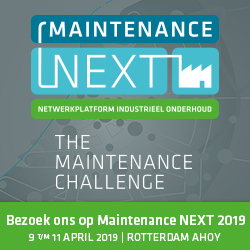 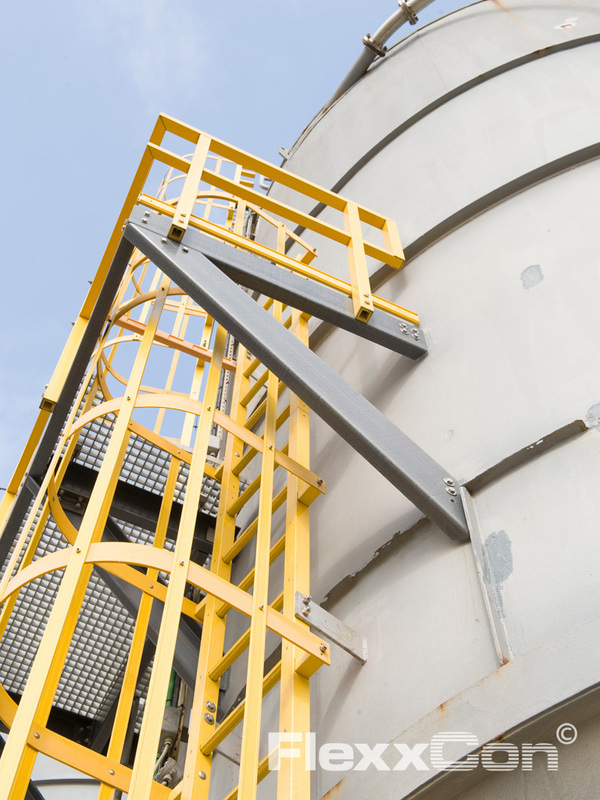 The design and execution of all our Fiber Reinforced Plastic ladders and cage ladders complies with all the set requirements for the NEN-EN-ISO-14122. 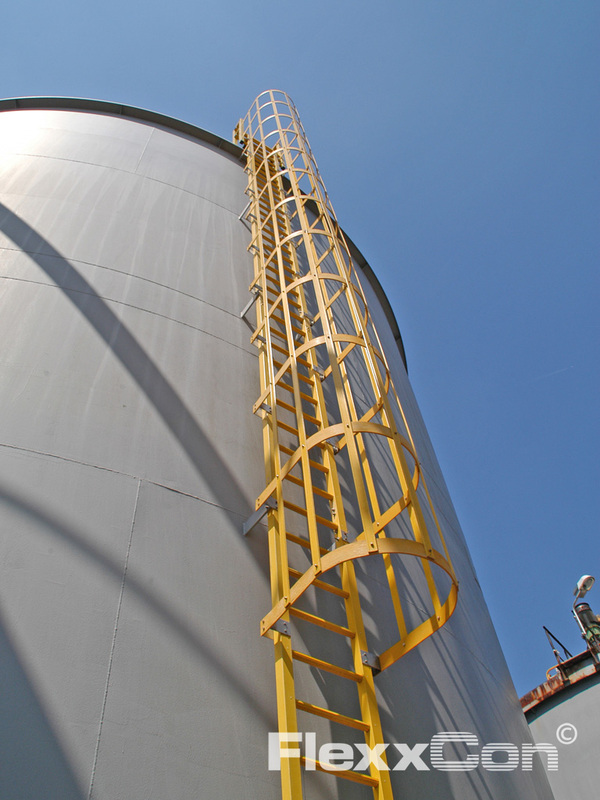 Glass Reinforced Plastic (GRP) ladders are a safe, durable solution, are low-maintenance and corrosion-resistant and are therefore widely used in environments that are susceptible to corrosion, for example water-rich environments or those with (aggressive) chemicals (water purification, storage tanks, road and hydraulic engineering, the petrochemical industry, shipping and offshore, oil and gas companies). 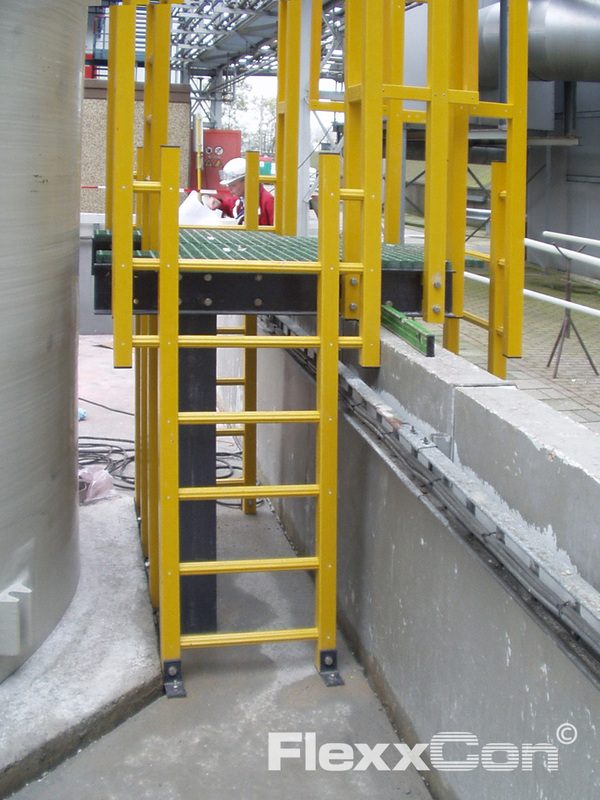 A standard Fiber Reinforced Plastic (FRP) ladder can be mounted with spacers on e.g. 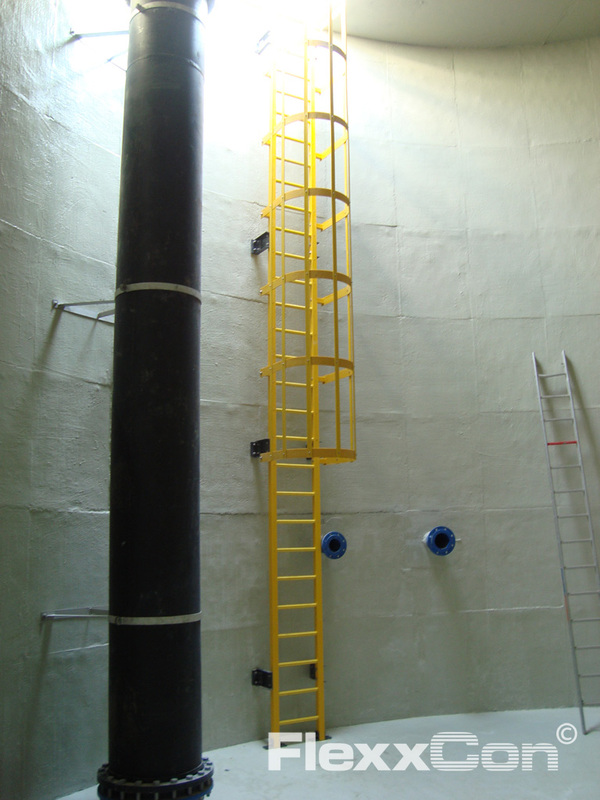 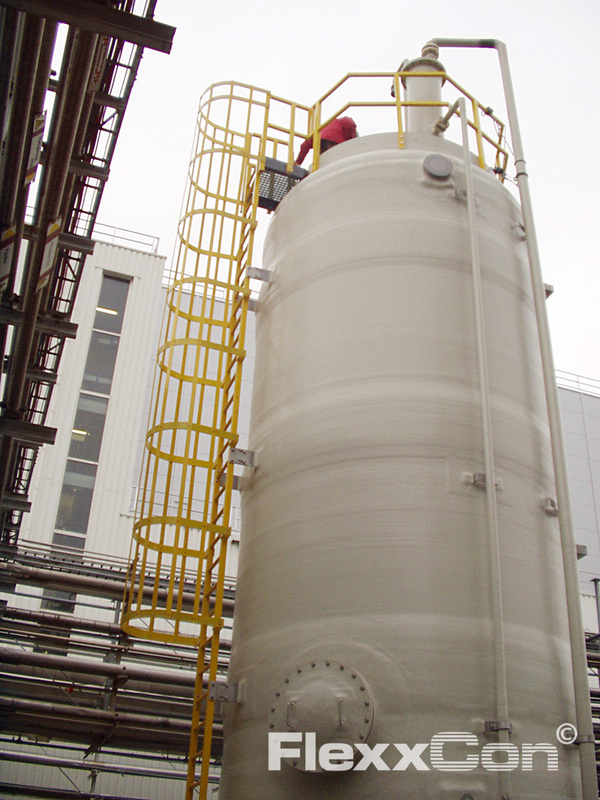 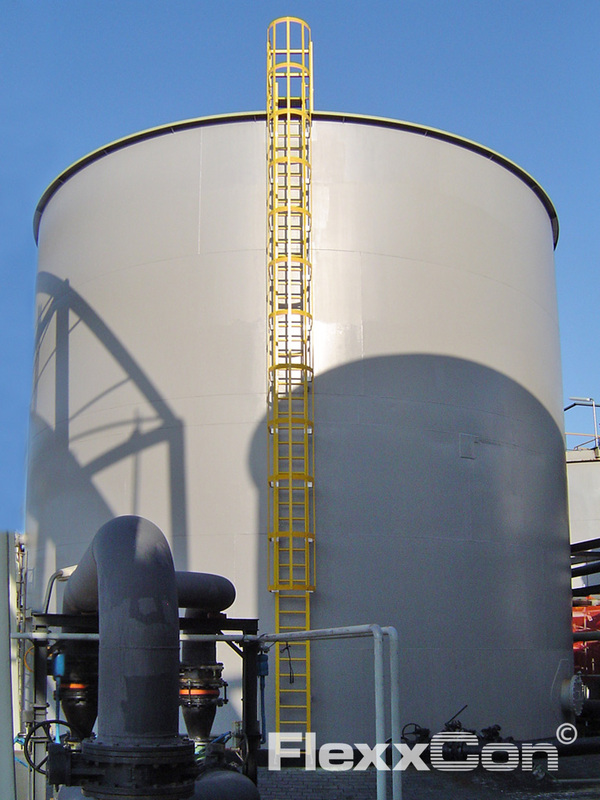 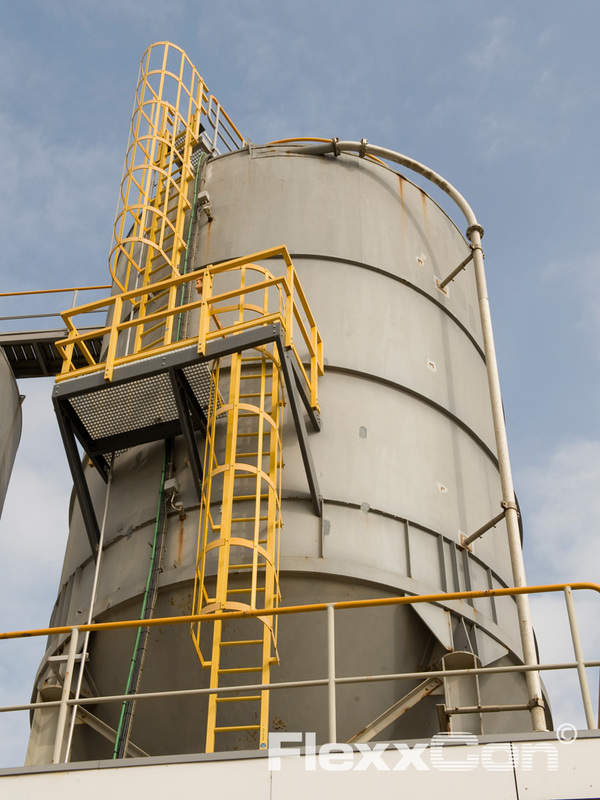 walls, partitions or storage tanks. 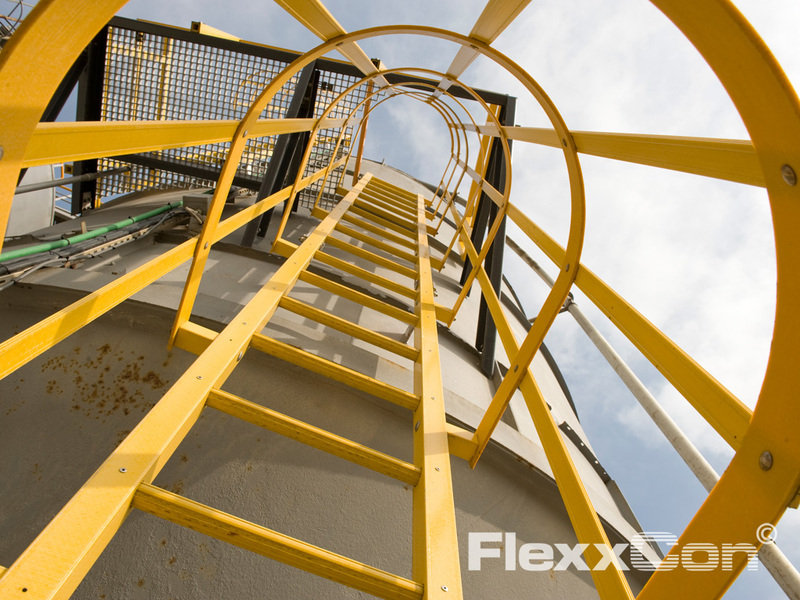 The round ladder rungs are anti-slip. 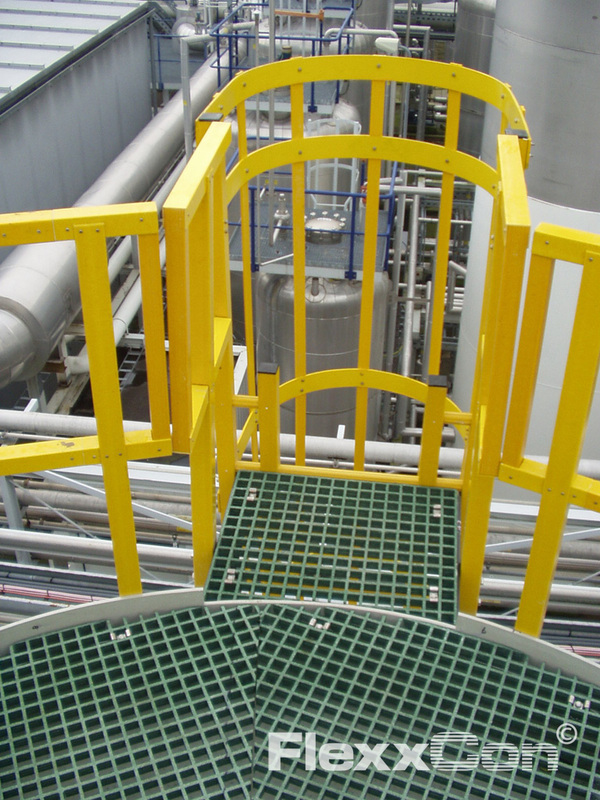 The FRP ladder can also be supplied with a Fibreglass Reinforced Plastic safety cage. 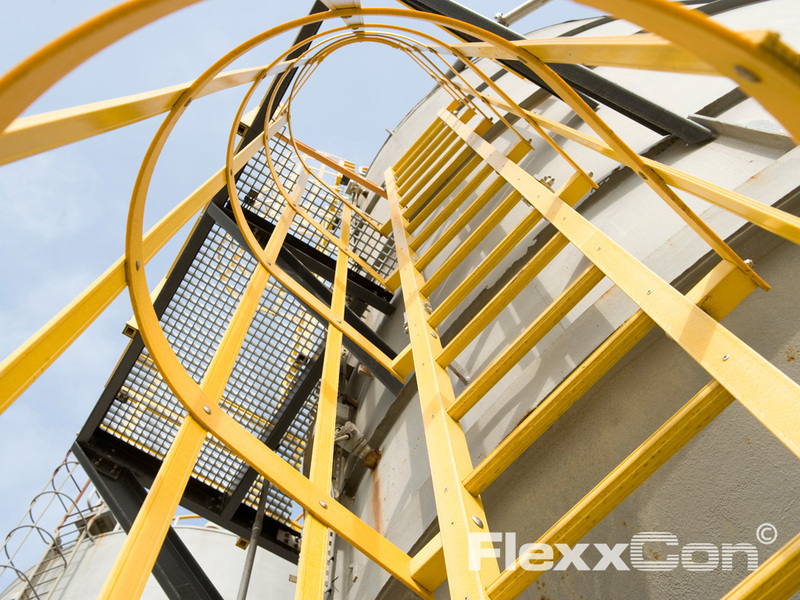 FlexxCon Fibreglass Reinforced Plastic (FRP) ladders and cage ladders are available in the standard colour safety yellow. 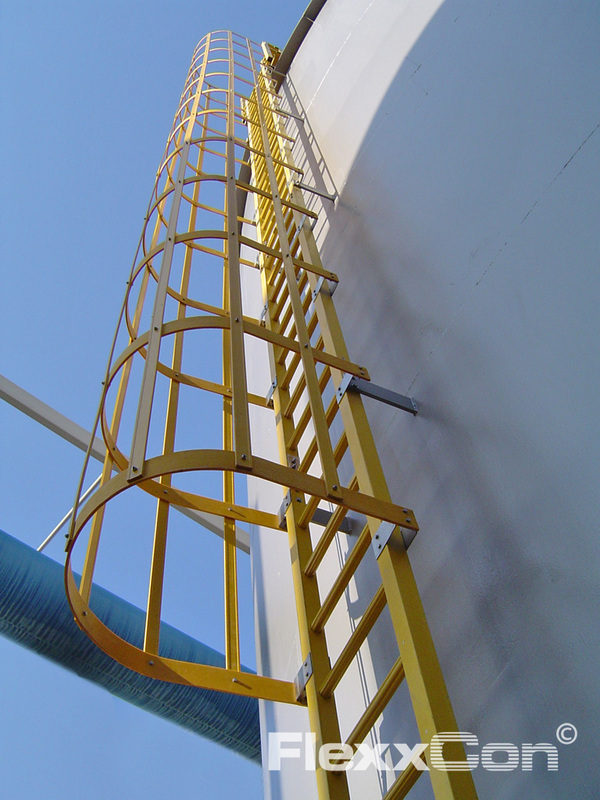 FRP ladders and cage ladders can be customised for all possible applications, including design, transportation and mounting / assembly, if required. 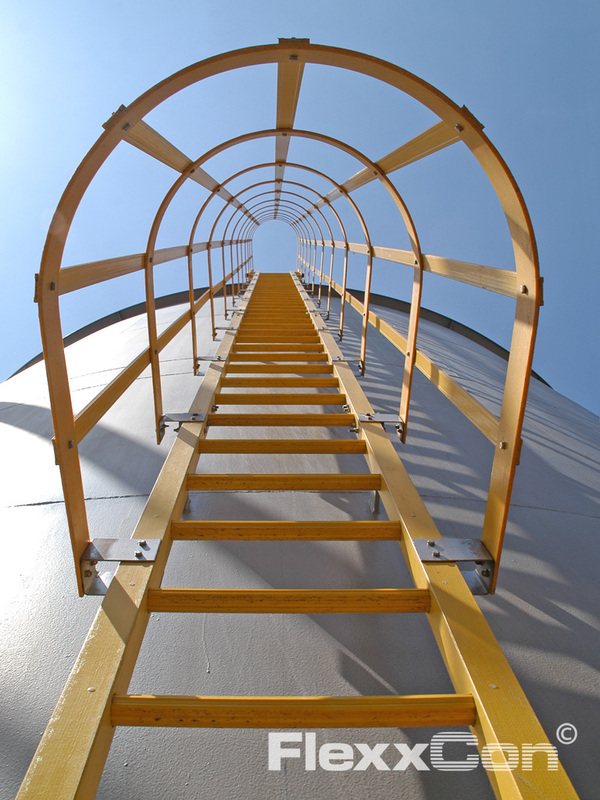 FRP ladders and cage ladders are an excellent alternative to steel ladders and they are also attractively priced. 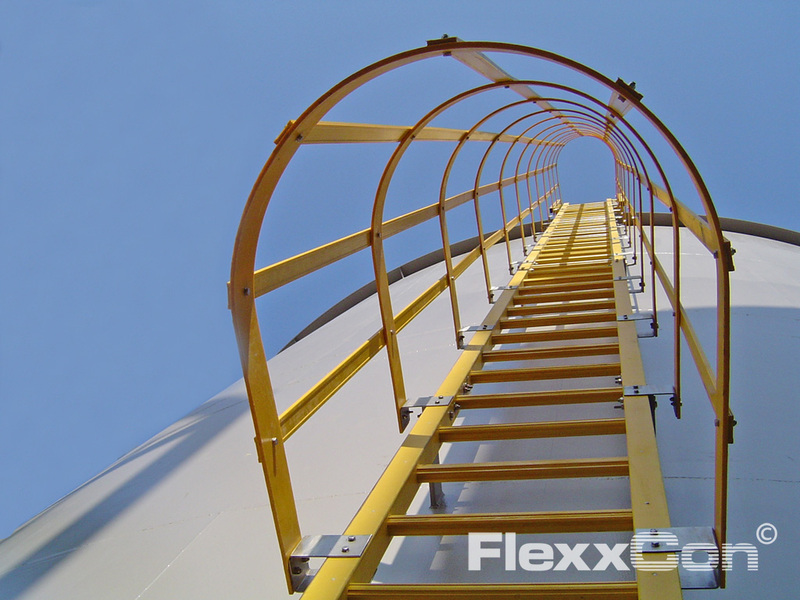 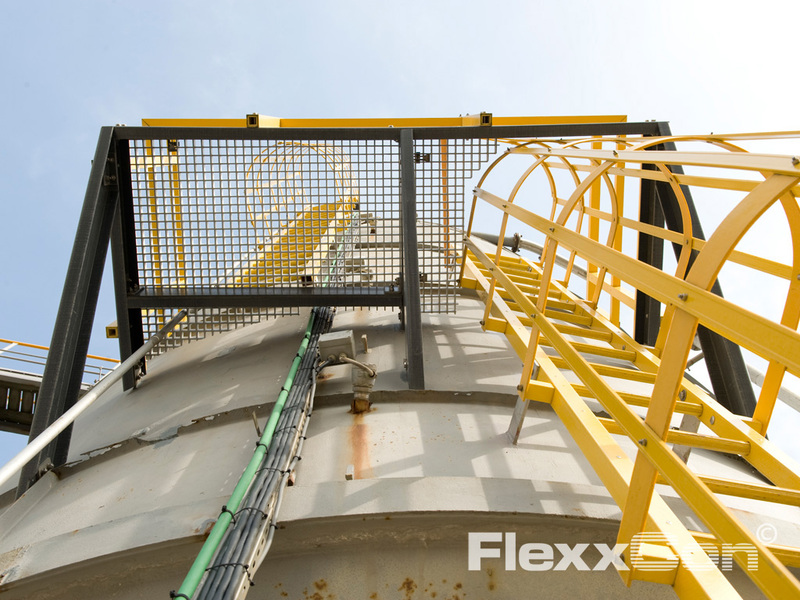 Call FlexxCon: + (0)33 455 66 96, for more information on Fibreglass Reinforced Plastic ladders and cage ladders.